'we left for Disney early morning with all the children, about 2pm left the park (with our return passes) for the Villa for lunch and a dip in the pool- it was great the children fed and relaxed - got a swim-at 5pm returned to the park for the light show and fireworks' the promotion theme park tickets you arranged, inadvance for us with all the discounts and free gifts, made the stay even more special as we did not have to lose time to shop around for them Lastly the new upgrades to the floors and bathrooms are amazing Carol Parks. The Villa has a large, bright and airy family room to relax in during the day or evening, with comfortable, sumptuous sofas plus an entertainment center with large bran new 52' TV/VCR/DVD combo unit, sound systems with CD player - so that you can either watch your favorite movie or listen to the music that you love to hear. We have also installed, for all to use, a play station system, a high speed Broad Band internet access, a games room - complete with pool table, darts board, football table (ten different game tops),& 'air' hockey table. The area has its own sofa, TV and music system unit. Sleeping accommodation at the Villa is arranged to provide a variety of bedroom layouts: the spacious master (en-suite) bedroom has a private access to the pool deck area via its own sitting and reading room, the bedroom has a king-size bed, nightstands with lamps, clock radio, telephone, plus dresser with TV/VCR combo, two walk-in closets, private bathroom with vanity unit (two basins) walk-in shower room and toilet. The second master (with siting area and en-suite bathroom), the third bedrooms offer spacious and comfortable comfort, with queen bed, nightstands with lamps and dressers (with TV and radios), and closets. There are also two 'twin bed' bedrooms (with adjacent bathrooms) with nightstands and lamps dressers with TV and radio again with closet space. Finally, the sofa in the family room can be converted to a 'queen-size' sleeper as required. And we have not forgotten that this is a family home - we provide for the 'younger team members' a baby alarm system, cot/crib, high chair, and strollers and pool doors are alarmed for security reasons. The large dining and breakfast areas can easily accommodate eight and six seatings. The kitchen has been fully-equipped with every piece of equipment possible that you could want or need to produce that fabulous family feast or just that quick snack before you 'dash off' to all that fun that Orlando has to offer, right on your doorstep! For lager groups we can arrnage for the use of the adjoing pool homes 4 or 5 bedroom pool homes with very similar accommodation. All in wlking distance of each other. So just bring your suitcase and enjoy your Disney Dream Vacation - while at the same time relaxing at our Villa retreat - enjoy the local wildlife and if it is a clear night you may just be lucky and see (at 8 pm) the Fireworks Display over at Disney - just think you can watch it from the comfort of our pool area. Look forward to hearing from you. To all floors, rooms and family areas etc. We enjoyed our stay in your beautiful home, we all hated to leave. You literally thought of everything a person would need. Very nice home in great location. This home was perfect for our family vacation. Plenty of room, nice pool and great location. Very clean, everything you would need in the kitchen. The pool was a little chilly in March but the children didn't seem to mind. My only suggestion would be to provide toilet paper and garbage bags even if you charge a little more per night. Had to run out to get those but stores were close as well as many restaurants. We had a wonderful time. Would stay here again. Thank you! We enjoyed our stay and had a lot of fun. Felt the service was lacking with only one trashbag and half a roll of paper towels in the unit. Bring these basic necessities, but otherwise was a good setup and tons of room. I've stayed in many VRBO homes. They have all been excellent. However Don and Linda's house is 100 percent exceptional!!! Clean clean clean! They have thought of every teeny tiny detail that you might need. Extra cots ,tons of towels and blankets and extra pillows. Highchair , pack in play , stroller! I felt like I was walking into home! Absolute perfection and we will return! We most definitely found our Florida sweet spot. Also very impressed with the measures they took to ensure safety for kids and a pool! Best stay ever! Phenomenal experience hands down!!! The house was wonderful and it fit our family completely we hopefully can stay there again next year I don't have any complaints about it the pool was great my granddaughter use it everyday and we were close to everything except there always was a lot of traffic so it took you a little bit longer than it actually was. Thank you Don Scott Faulkner for the use of your home and has it said everything was fantastic thank you again. The house had everything that you needed. 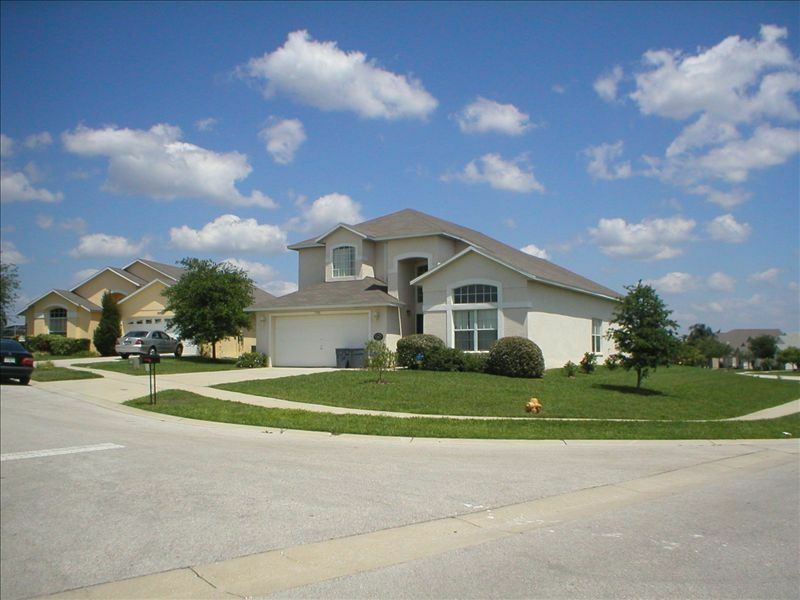 Very nice house near Disney. Game room has plenty of games and the house looks and feels like a true home, rather than a rental, because of all the personal touches with decoration, kitchenware and utensils, and more towels you can reasonably use. Overall very nice property.